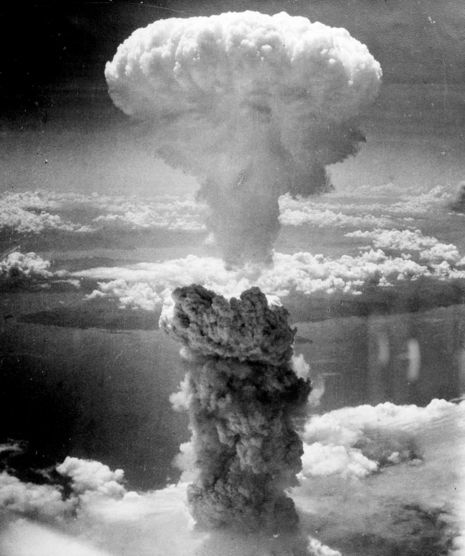 The atomic bombings of Hiroshima and Nagasaki were nuclear attacks near the end of World War II against the Empire of Japan by the United States at the executive order of U.S. President Harry S. Truman on August 6 and 9, 1945, respectively. 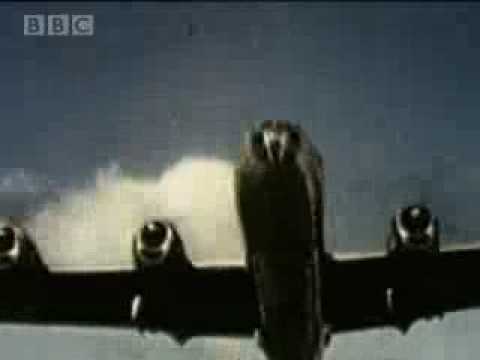 After six months of intense fire-bombing of 67 other Japanese cities, followed by an ultimatum which was ignored by the Shōwa regime, the nuclear weapon "Little Boy" was dropped on the city of Hiroshima on Monday, August 6, 1945, followed on August 9 by the detonation of the "Fat Man" nuclear bomb over Nagasaki. These are to date the only attacks with nuclear weapons in the history of warfare. The bombs killed as many as 140,000 people in Hiroshima and 80,000 in Nagasaki by the end of 1945, roughly half on the days of the bombings. Amongst these, 15–20% died from injuries or the combined effects of flash burns, trauma, and radiation burns, compounded by illness and radiation sickness. Since then, more have died from leukemia (231 observed) and solid cancers (334 observed) attributed to exposure to radiation released by the bombs. In both cities, the overwhelming majority of the dead were civilians. Six days after the detonation over Nagasaki, on August 15, Japan announced its surrender to the Allied Powers, signing the Instrument of Surrender on September 2, officially ending the Pacific War and therefore World War II. (Germany had signed its unavoidable Instrument of Surrender on May 7, ending the war in Europe.) The bombings led, in part, to post-war Japan adopting Three Non-Nuclear Principles, forbidding that nation from nuclear armament. The next break in the weather over Japan was due to appear just three days after the attack on Hiroshima, to be followed by at least five more days of prohibitive weather. The plutonium bomb, nicknamed "Fat Man," was rushed into readiness to take advantage of this window. No further orders were required for the attack. Truman's order of July 25th had authorized the dropping of additional bombs as soon as they were ready. At 3:47 a.m. on August 9, 1945, a B-29 named Bock's Car lifted off from Tinian and headed toward the primary target: Kokura Arsenal, a massive collection of war industries adjacent to the city of Kokura.